Farmer’s Name: Harpal Singh, Lives in: Meerut, in the state of Uttar Pradesh in northern India, Agro-advisory service user of IFFCO Kisan Sanchar Limited (IKSL). Harpal Singh shared his experience with us. Harpal Singh is a smallholder farmer. Harpal primarily grows sugarcane, mustard and wheat, he is using IKSL’s agro-advisory service from past 8 months and he feels good after using this service as this agro-advisory service has become the main source of information for him and has proved to be beneficial. His profit has increased by 50% after using this service. 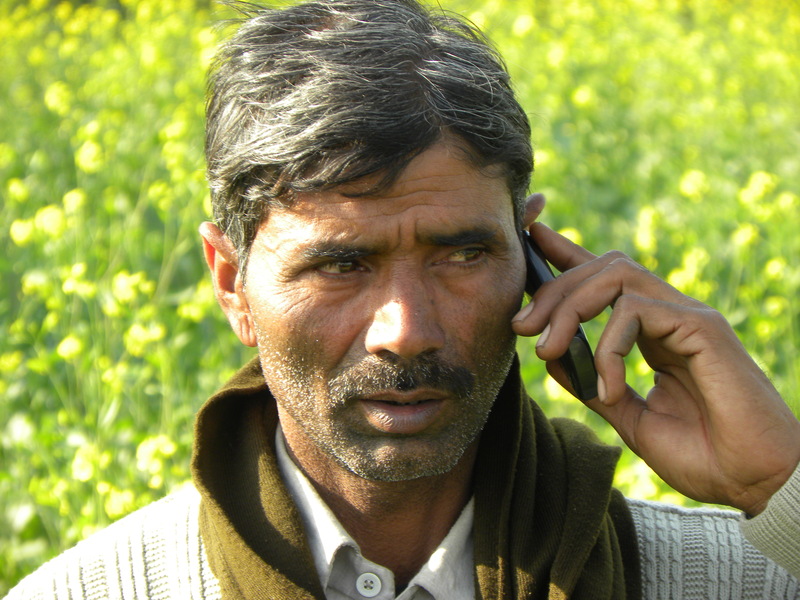 He likes to use helpline service and shares the information with other farmers in his village. Harpal shared his two experiences where he achieved major benefit from IKSL service. He spent INR 300 in spraying of sulphur in his mustard field and he earned approximately INR 7000 (USD 140) more from what he used to earn before using sulphur. Sulphur basically helps in increasing the percentage of oil in oilseeds and also results in fuller grain size It also beneficial for controlling and preventing fungal diseases in oilseeds. In the second instance he said that he faced sugarcane aphid problem in his sugarcane field this year and he contacted IKSL helpline to know how to control this insects. The advisory helped him to handle the problem and save his sugarcane crop. This year he has realized 25% extra profit from sugarcane crop. 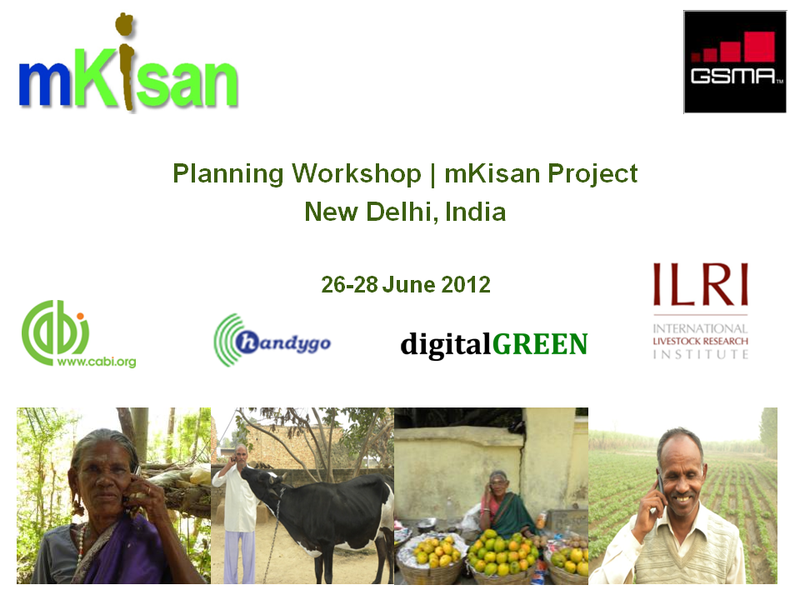 mKisan Planning Workshop was a kick off workshop for the project mKisan organised in the CABI- South Asia Office from 26/06 to 28/06/12. The mKisan planning workshop basically entailed to bring all consortium partners and supporting organisation (GSMA) on a single platform to discuss and finalise various operational matters and the working plan of the project. This helped all the connsortium partners to proceed to our set targets and accomplish the desired goal of the project effectively. The workshop ended successfully with the finalisation of work plan for the project and with the setting up of milestones to be achieved. Beside this it brought clear understanding of the contribution and deliverables to be made by each consortium partners. Workshop organised before the launch of the project mkisan, organisations participated are GSMA, CABI, ILRI, Handygo Technologies Private Ltd and Digital Green.